“That mountain is in my sights, I am going to climb it,” I told my wife. She just smiled at me. I exercised rigorously to get in shape, watching what I ate so I wasn't carrying any extra weight. My wife kept encouraging me and I knew I could do it. I would do it! I obtained the gear I would need to climb. To begin with, I started climbing the small hills around my home. At first it was hard, but they started getting easier. I was finally ready! I, with my two metal prothesis legs, began the climb. Thank you to Al Forbes for providing our photo prompt, along with approximately 100-200 words for our stories, and for hosting Sunday Photo Fiction. It is a fun flash fiction story challenge and everyone is invited to participate, just bring your imagination and creativity. For more information, check out Al's post. To read the wonderful stories provided by creative minds, click on this link. Nice story about courage and perseverance. BTW, I thought your story was excellent! What an encouraging read 🙂 Life is all about never giving up, and here is something that shows it! Thank you Angie! I should have titled it, “Determination.” Thank you for reading and for your kind comment. 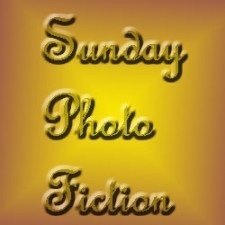 Scott, I can read your story but I can’t link it to inlinkz for you because it isn’t my challenge – it is “Sunday Photo Fiction.” I am only allowed to link participants up to my challenge, Flash Fiction for Aspiring Writers. Inspiring read. Thanks for sharing. A story of true courage. Good for him! Such an inspiring story about overcoming obstacles. And here I was, feelijng it would be too much of an obstacle for me, with just slightly rickety knees! I know the feeling. I have a bad back and it would be almost impossible for me. I would just have to bare a lot of pain and I wouldn’t want to do that. LOL! LOL! That sounds good to me! Wonderful, positive influence great inspiration! Thank you Yolanda! Congratulations on your book! I can see you having the same determination! Pushing towards your goal. Great story! It is there to be conquered! That’s certainly true! Thank you for reading and commenting! Strong story, winning is powerful. People with disabilities usually have extra strength to finish what they intend to do! That’s very true Scrapydo2! Very true. It’s very inspiring that someone who has prosthetics can walk, climb, and hike again just as if he had his own legs back. Your story is great and I feel very thankful that we live in an age where this technology is possible. I totally agree with you Mandi. They make legs that can do anything and I think that is wonderful! Thank you for your comment and for reading my story! Thank you Eric! I too am amazed at these guys that come back home with life altering disabilities and are able to get these high tech prosthetics that enables them to do just about anything, and they do! To me, they are just amazing! Thank you again! Thank you Susan! I was inspired by all the young men and women that came home from war with their leg/legs blown off that are making the most of their lives with prosthetics. It’s amazing what they can do with them. Yes! We have what we need to do it!!!!! Great way to tell us so Priceless! A wonderful story about determination and perseverance. 🙂 If you want something badly enough, nothing can stop you. I agree with you Louise! That abominable spirit. Uh Oh, I used the wrong word! Sorry! Thanks, I appreciate that. It’s my mind…I couldn’t think of the right word and that one came up. This story reminds me of my cousin. He was born with one arm and no legs. 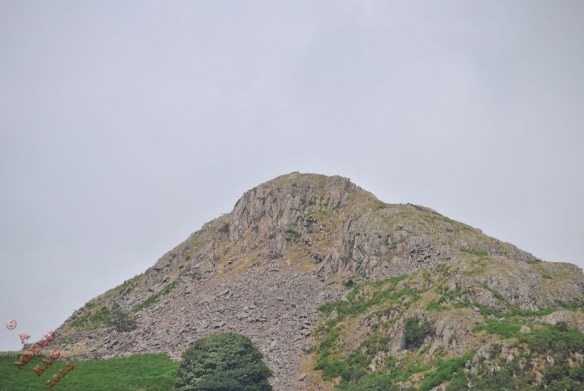 He climbed Mount Snowdon. People with prosthetics are amazing the things they can do. That is absolutely awesome he was able to do so much! His birth defects are tragic but he turned tragedy into triumph! Yes, kids can be mean, that’s true. He shouldn’t have been hitting you all with his legs either. He never did it again afterwards. As you can see though, he improved and became an inspiration. It does sound like he became a wonderful inspiration. Good for him! He refused to give up and worked hard at achieving his goal. That is such an inspiration to others. I’m sure his wife was very proud of him. Wonderful story, Joy!